The true Finch bird is passerine birds from the family of fringillidae. It is known to be a seed eating and a songbird. Most of its family come from Northern Hemisphere but some of the subfamily is found in endemic to Neotropics while another one is from Hawaiian Island. There are also other birds called Finch bird because of the similarities found with the finches such as estrildid and waxbills finches. The word fringilliadae comes from a latin word which means fringilla for Chaffinch. This is one type of Finch bird which is popular in Europe. The birds can sing short and plain songs, but if the song is whistled to them they can begin to sing them. However, they tend to sing a song on high tone that the one that has been whistled to them. 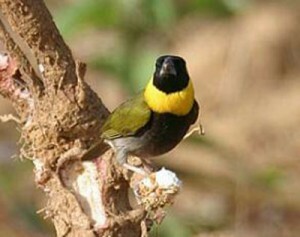 The nests of Finch bird are in the form of a basket and they are found in trees, in rare occasion they can be found in bushes, in rocks and in similar substrate. The taxonomic of true finch family in fringilidae is disputed and some even upranks the Hawaiian Honeycreepers. Some of families were even confused to be finches until there was an affinite study. It is hard to find the remains of true finches and those that are found can be assigned to this many types. 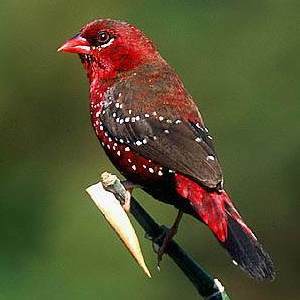 The male finch is of 5 ½ inches and it has a red color on the head, flanks and upper breasts. According to the region, the color red can be replaced by orange or yellow because of the difference in the diets. All females have a brown streaked head with brown streaking on breast or belly. The under tail normally is unstreaked. In courtship, the females should get the food from prospective mates. The male can mock feed or can even regurgitate the food in the female’s mouth. In the mating season the males normally carry sticks and any other nestling material needed. The Finch bird is monogamous. In case of any problem, the males defend the female and not the nesting territory. Even if the materials to build the nest are carried by a male Finch bird normally the finches are the one to build the nest. Nests are in the shape of cup and are made by leaves, grasses and twigs. The Finch bird can nest anywhere from hanging plants, birdhouses or woodpecker. If they live in birdhouses they will also nest in it.